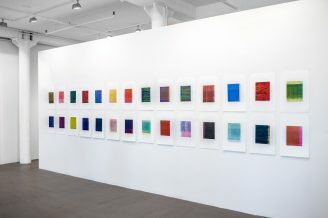 Installation view of Richard Tsao: Nam Wan at Art Projects International, New York, 2011. 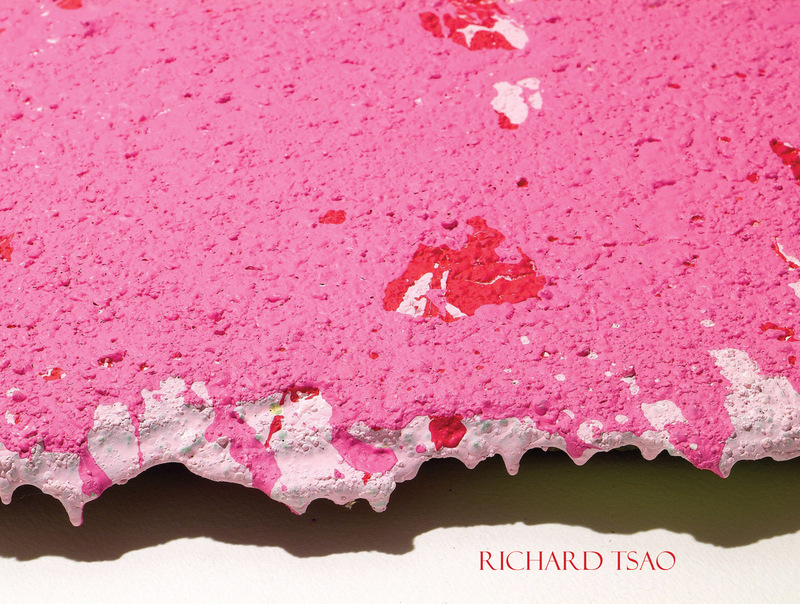 Art Projects International is pleased to announce a solo exhibition of Richard Tsao’s recent work. The exhibition will be on view from January 14 to March 4, 2011. 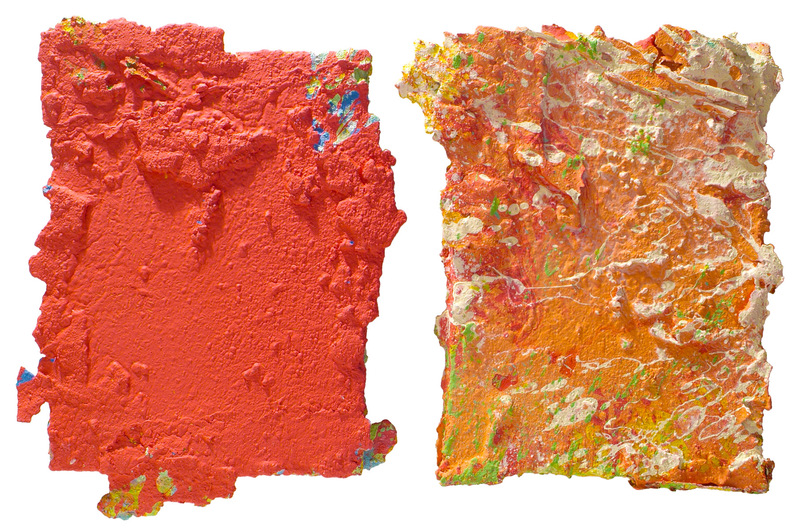 Richard Tsao’s paintings look to have been torn from nature at its most ecstatic. 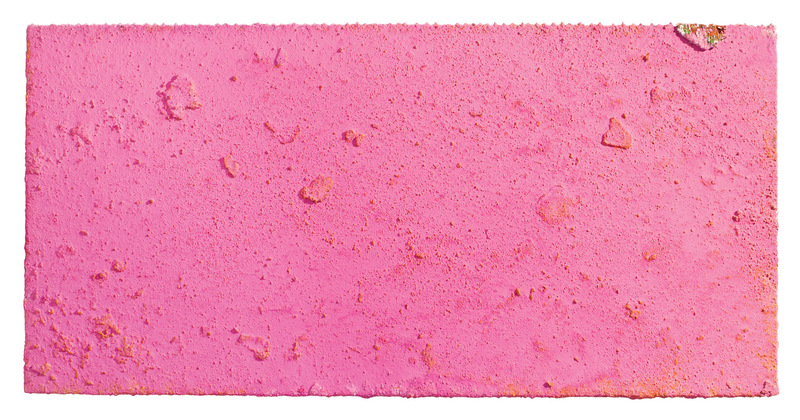 Immediately attractive with their brilliant harmonies and colors of the purest intensity, these works are obviously contemporary, yet they seem to come, rather than from the hurried now, from the earliest points of an ancient universe. Their brilliance cannot be tied to the commercial or pop; it speaks of geological and astral time. With pigment thoroughly encrusting the canvas or wood supports and with sections of the encrustations sticking out well beyond the supports’ edges, Tsao’s works are less painted than accumulated—they may be years in the making. And, as in nature, the works’ beauty also contains the hint of a warning—it could signify deliciousness or, maybe, poison or acid. 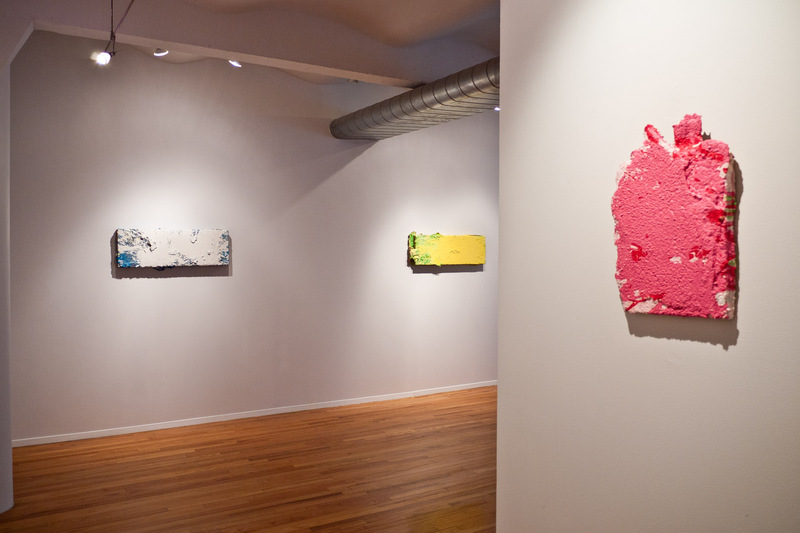 Tsao’s titles emphasize associations with nature and the ambiguous territory the works inhabit as art. 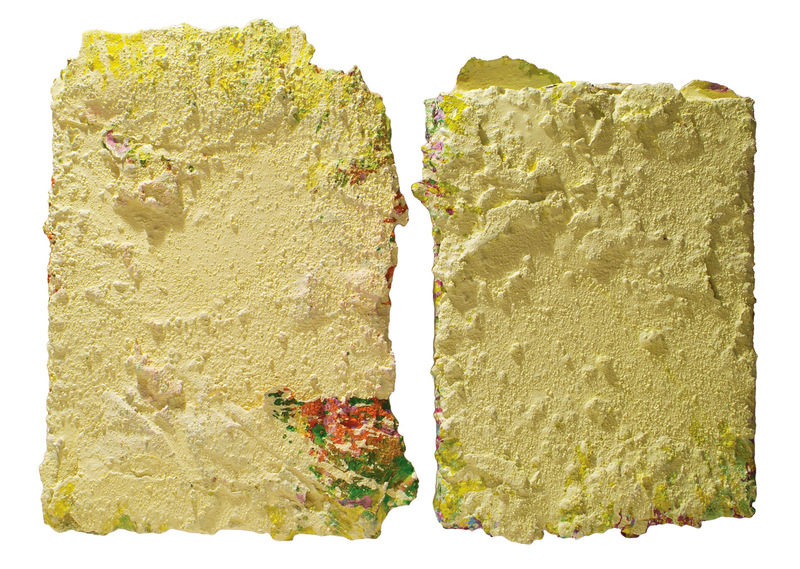 Freeze is a long yellow rectangle; a heavily clotted green and yellow left side becomes smoother and more yellow on the right. The matte, powdery surface and the brilliant canary/lemon yellow pose a puzzle, “what substance is it that is frozen?” Or, perhaps, more to the point, “where are we?” The cool colors of Avalanche might seem in harmony with associations of the event of falling ice and snow. The white splat on the surface of the painting is at first comforting in being normative as a known painting gesture and as an understandable metaphor tied to the title. But the matte white sits every so lightly on the surface and soon rich pigmentation—blues, greys, yellows, reds—peeking through; texture from silky to jagged; layer upon layer of material having either flowed into place or congealed into shape; and, further, an unpredictable shape and jagged edges, all, announce themselves as the larger subject. 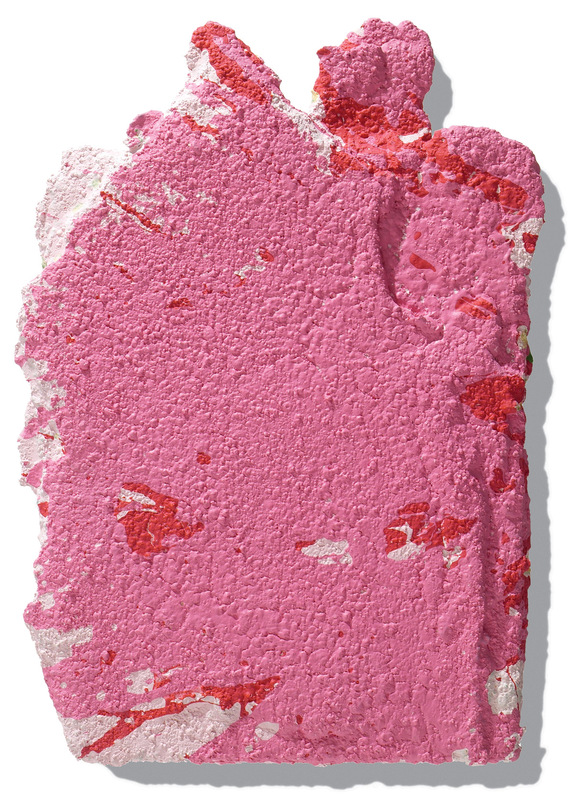 The white splash—reading clearly as an art historical gauntlet retrieved by Tsao and then re-thrown as a new painterly challenge—is understood as part of the work and an invitation to enter it. We are all haunted by the colors of our childhood. A film from a particular era may bring on nostalgia purely because of its palette. Certain combinations of sensations may bring us back to specific moments in our past. Tsao, of Chinese descent, grew up in Thailand. He has from early on, and does, raise orchids. 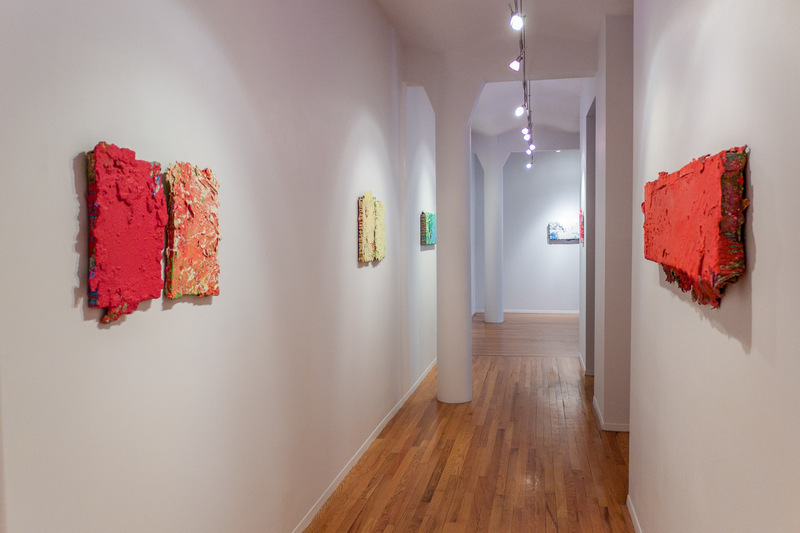 In New York when viewing Tsao’s color-drenched works it is not possible to imagine the mental landscape that he reviews in cataloguing his personal inventory of influences. The viewer sees, from the other side, a highly sophisticated craftsman conveying to the viewer a natural ordering, even if energetic and chaotic, of color and surface which in its deep inherent logic, again far from any but Tsao to decipher, offers not only outward, startling beauty but the beauty of the complexity of natural formation. 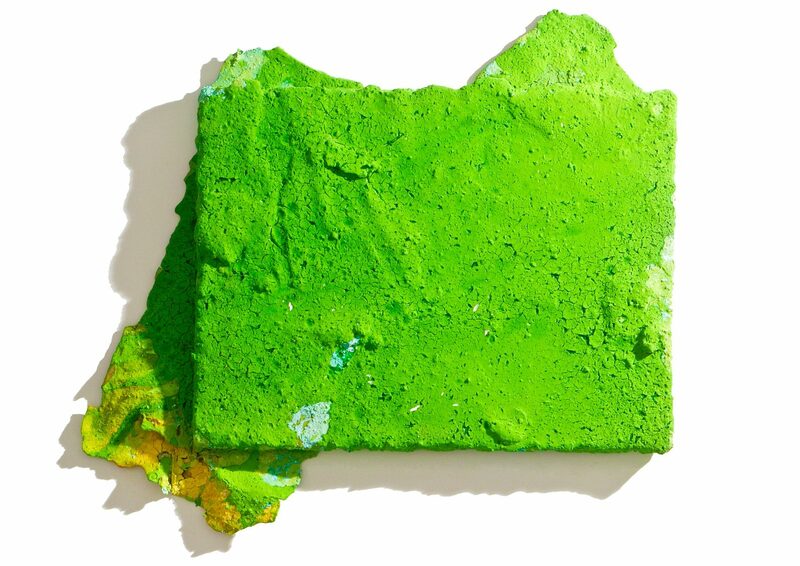 As one could get lost in the colorings and patterns of a mineral pool, Tsao’s work, which takes, as mentioned, extended periods of time to develop and is created by pooling and flowing pigments, allowing natural chance to have its say, can absorb all one’s attention just as unaltered objects torn from a beautiful world can. But, importantly, in the end, the viewer must come to the awareness that these exact works hanging exactly as they are cannot have come into being except through careful artistic deliberation—through choice. The exhibition is accompanied by a catalogue with an essay by Susan H. Edwards. Richard Tsao, originally from Thailand, is known for using a process oriented, labor-intensive approach and particular aesthetic of beauty in creating his paintings and works on paper. His solo exhibitions include Art Link, Seoul; Chambers Fine Art, New York; 100 Tonson Gallery, Bangkok; and Queens Museum of Art (Bulova), New York. 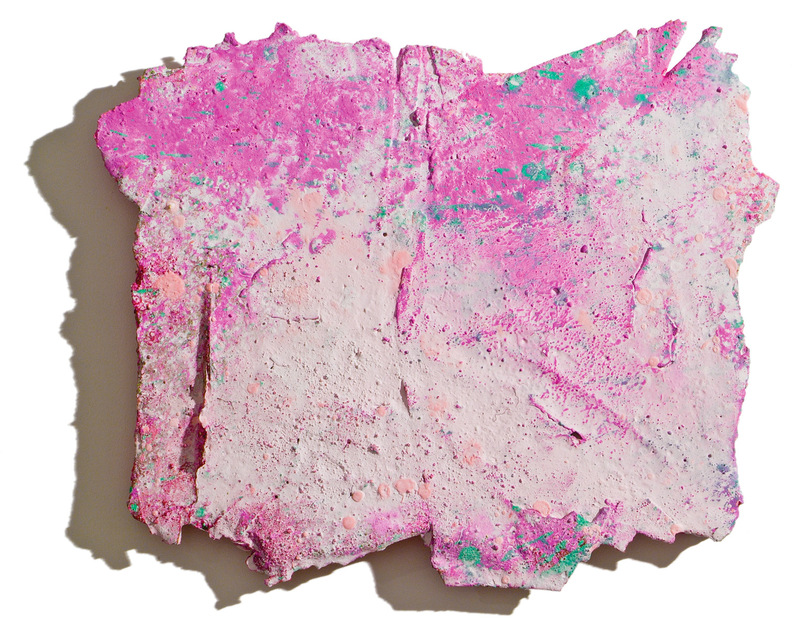 He has also exhibited in numerous group exhibitions including Paper and Process 2, Art Projects International, New York; Krungthep 226, Bangkok Art + Culture Center, Thailand; Different Ways of Seeing: The Expanding World of Abstraction, Noyes Museum of Art, New Jersey; and The Inverse Mirror, Chambers Fine Art, New York.